Carolina Jessamine VineEvergreen vine. Fast growth. 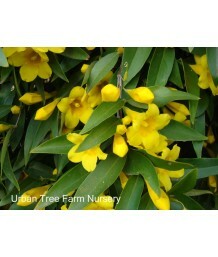 This well-mannered vine climbs beautifully on a ..
Carolina Jessamine VineEvergreen vine. Already trained to grow on a trellis. Fast growth. This well-..